The Rapid 106E is a solid and reliable electric pad and saddle stapler from a long established and highly rated Swedish manufacturer. 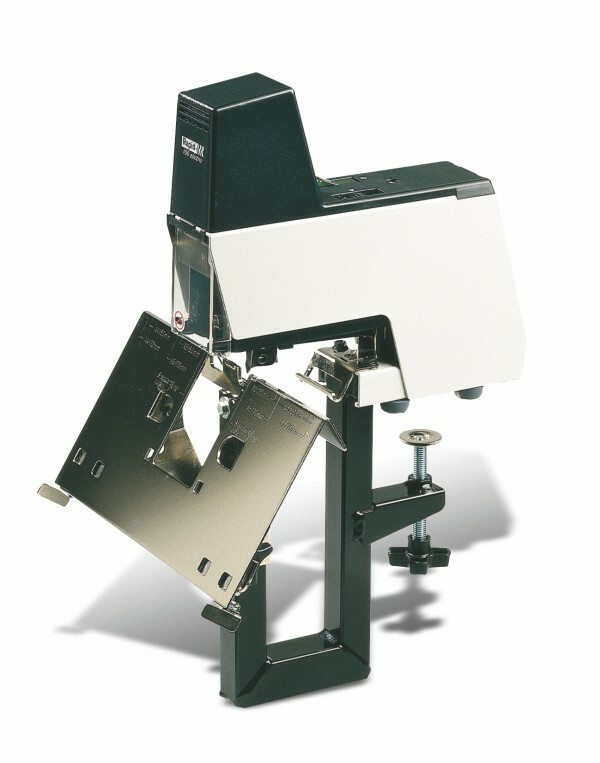 This automatic saddle stapling machine is ideal for stitching booklets and brochures, then simply flip up the table and staple thin pads! Up to 4 Rapid 106E electric staplers can be linked together with Opto cables for automatic multihead stapling.